We just can't thank our volunteers enough here at A Greener Future. They're passionate, motivated, and they keep our organization going. In order to honour our valuable volunteers we're shining a spotlight on them and sharing their meaningful stories over the course of 2018. Introducing our second spectacular volunteer: Katie Richardson! Rochelle and Katie during Love Your Lake 2016 in Ajax, Ontario. 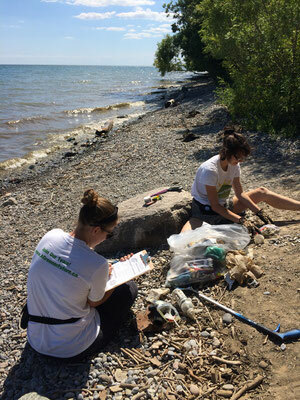 Katie has been coming out to litter cleanups for over two years now. What inspires her to keep coming back to lend a hand? She says, "I value water, and all the life that depends on it. We have an amazing amount of water in Ontario, and it is important to me that it is taken care of and respected. 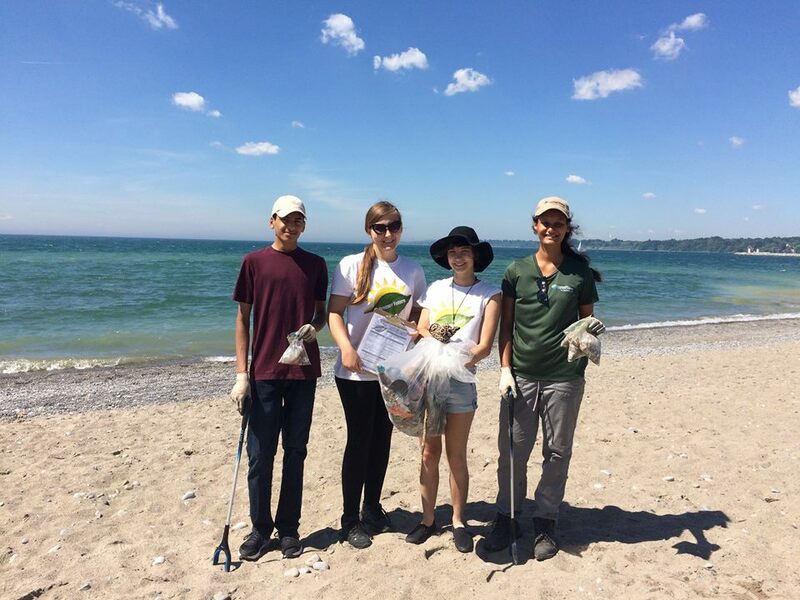 I like volunteering with A Greener Future because I feel like I can make a difference while working with friends." 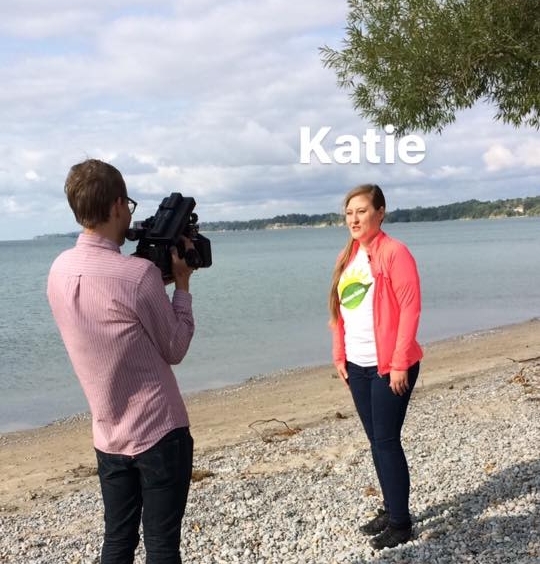 Katie's most memorable moments with A Greener Future include doing a TV segment for Global News as well as the dismay of arriving at a beach absolutely covered in garbage, and the feeling of accomplishment when the tally of garbage recovered by the group was complete. 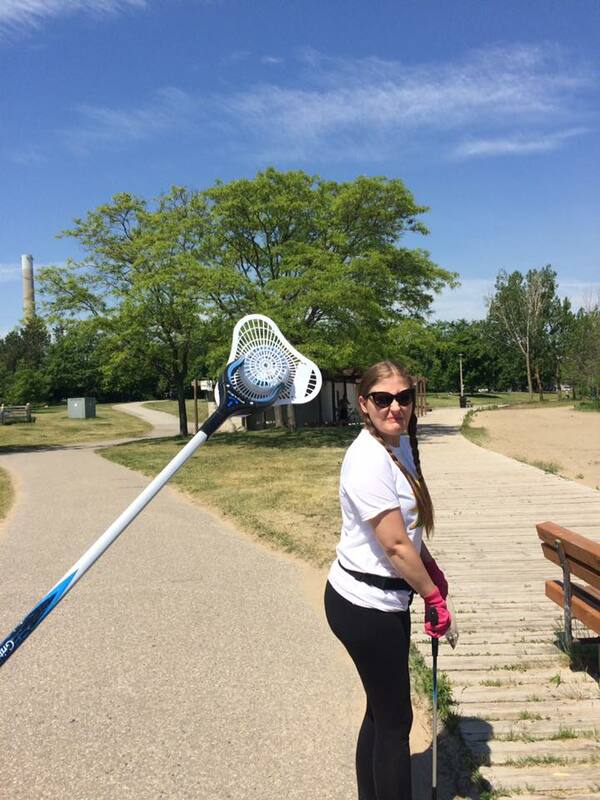 During the first round of Love Your Lake cleanups Katie joined us for 26 events! "I remember the company of birds, even dive-bombing ones. I remember the laughs shared with new and old friends that were joined by the common goal of making a difference and helping keep our Lake clean. Throughout everything, I remember the sights and sounds of water." Katie isn't just a litter picking queen, she also makes important environmental choices in her daily life. She uses re-usable coffee mugs, containers, and fabric bags and is trying to significantly reduce the amount of waste and recycling she creates from store bought items. "I am the child of a biologist, and I want to continue learning and making better choices. This year I tried to wrap presents in re-useable bags, or with recycled wrapping paper that I saved from last year. I am also trying to use environmentally safe products, especially environment friendly soaps and cleaners." The people around her have taken notice, coworkers have followed her lead and started using reusable cups and straws for their water at work. What does Katie hope for the future? "I hope that people can see that lots of little changes can make a big difference to the environment. I hope that a sense of pride and joy about taking care of the environment will become a part of everyone's life. I hope that recycling and reducing waste will be seen as positive and natural daily activities, not extra work. I hope that the use of plastic and foam, especially disposable plastic and foam, are drastically reduced. I hope for the protection of our ecosystems, which are so delicately tied and balanced. I hope that the distant future of the province, country, and world will be taken into account, not just the immediate future and the potential for profit." We couldn't have said it better ourselves! Thank you for all your help and inspiration at A Greener Future, you make what we do fun and impactful! That time Katie found a urinal cake. 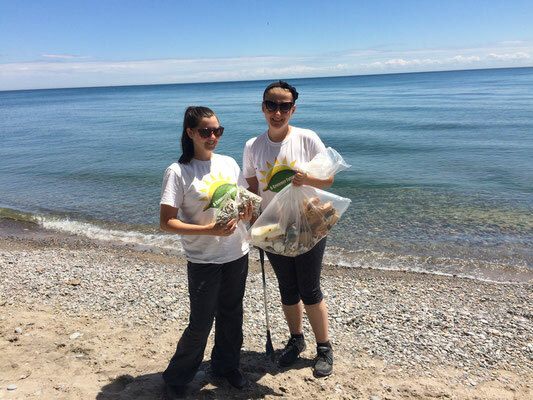 Beachfront Park in Pickering with TRCA volunteers.